A snare is a trap normally used to catch an unwary wild animal, but each of the five times the word (Greek pagis) is used in the New Testament, it refers to devices used by the great deceiver, Satan, to trap unwary human beings. There is, first of all, the snare of worldly involvement. “And take heed to yourselves, lest at any time your hearts be overcharged with surfeiting, and drunkenness, and cares of this life, and so that day come upon you unawares. For as a snare shall it come on all them that dwell on the face of the whole earth” (Luke 21:34-35). There is the snare of rejecting God’s word, both the written word and the living word. When Israel repudiated Christ, God said: “Let their table be made a snare, and a trap, and a stumblingblock, and a recompence unto them” (Romans 11:9, quoting Psalm 69:22). The desire for riches can be a snare. “They that will be rich fall into temptation and a snare, and into many foolish and hurtful lusts, which drown men in destruction and perdition” (1 Timothy 6:9). 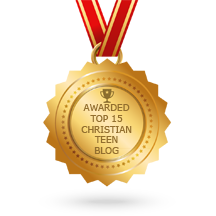 This entry was posted in A CLICK A BLESSING TODAY, CHRISTIAN FOUNDATIONS OF BELIEF, CHRISTIAN LIFE AND THE WORD, CHRISTIAN NUGGETS, CHRISTIAN TAGALOG BLOGS, CHRISTIAN TEENS BLOGS, CHRISTIAN URDU BLOGS, SHARING STRUGGLES , Shaping Spiritual Solutions! and tagged good report, recompense, Responsibility, snares, stumblingblock, temptation, trap. Bookmark the permalink.